This month, my inbox has been a dreamcatcher, loaded with “holy wow!” emails from clients about dreams coming true before their eyes. New opportunities, renewed energy, amazing serendipity. So exciting! But in addition to the dreams-coming-true emails, I’ve received plenty of why-isn’t-it-working notes, too. Not surprisingly, it’s come up in Project Light Year, where participants are looking back at past vision boards or written intentions and wondering why everything they envisioned hasn’t happened. 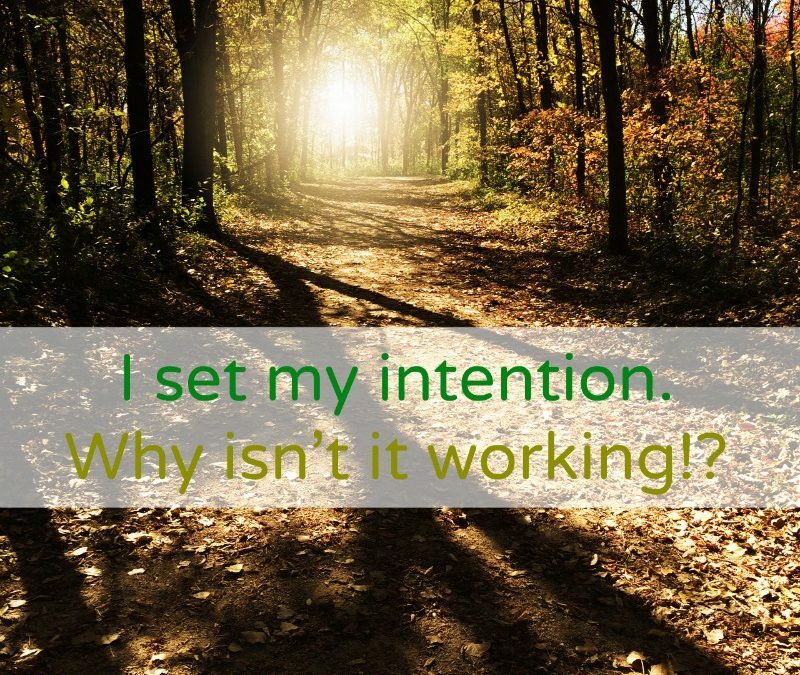 In all the years I’ve played with the power of intention, I’ve found three main stumbling blocks that can easily throw the best of intentions off course. Do any of these ring a bell? 1. Forgetting (or refusing) to let it go. An intention is like a contract with the Universe; it’s not a prayer request or a daunting goal, but an agreement to co-create a personal vision fueled by desire and divinity. I love helping clients get clear on what they really want, recognize how they want to feel as a result, describe it in a sentence (or two) that’s precise, passionate and set in the present-tense (I am vs. I will), and then let it go. That’s right. Let. It. Go. Those dreams-coming-true emails I’ve received lately are all from women who envisioned some kind of wonderful but managed to let go of how it would come to them. For detail-oriented planners, this feels like absolute torture – until it magically works. Rather than doing everything possible to make that vision come to fruition, from obsessing over details to networking like crazy, you leap in when synchronicities appear or when you feel motivated by faith vs. fear, inspiration over desperation. One email I received last week came from a freelance marketer who’d had an intuitive reading with me a few weeks prior; she had been super worried about moving into the new year with no solid client leads. Drumming up business in six short weeks sounded impossible. We dug into her true desires, she allowed herself to dream bigger, and she set her sights – and intentions – on manifesting work she loves and that is good for the world. The hardest part was after we hung up. Can you guess what happened after that restful break and brave choice to let go of the details? New clients started calling “out of the blue,” and she had the clarity and peace of mind to say YES to the ones that matched her vision, even asking for more compensation and getting it. She let go of the details, took inspired action when the situation called for it, and – in a matter of weeks – she went from an empty calendar to one that’s filled with planning star-studded events and charity fundraisers – better than she could have imagined. 2. Your timing is off. 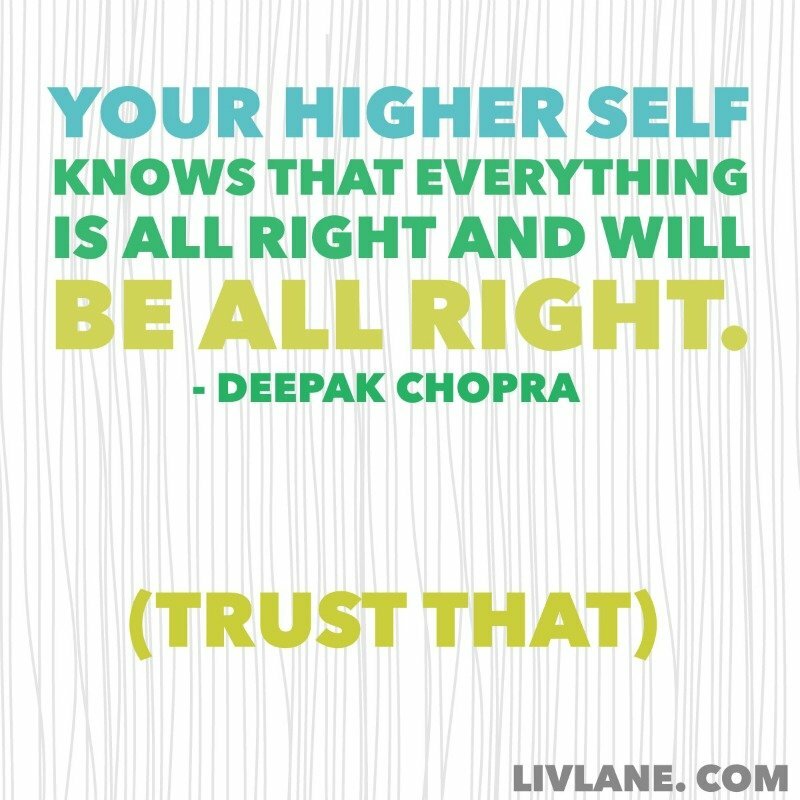 In addition to letting go of how goodness will transpire for you, it’s important not to dictate when. Your desired timing may not line up with divine timing. Immediate gratification is great fun, but so is having the planets align to deliver bliss at the perfect time, in the perfect place, and with the perfect people – even if it takes longer than you’d originally hoped. It’s true: good things do come to those who wait. 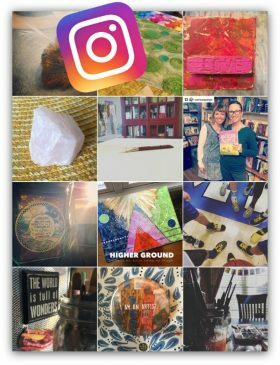 Though many of us create vision boards at the start of each year, it may take longer for the intentions behind the images and words to actualize in our lives. I’m blown away by some of my boards from eight or nine years ago, featuring things that are now part of my daily life that I’d all but forgotten about (the ultimate in letting go, I suppose!). Somehow, it feels more magical when something we’ve committed to co-creating appears within a desired timeline. But when it doesn’t, we have a tendency to unravel, assuming that our intention setting didn’t work. And that leads us into our third stumbling block. 3. Shifting your energy from creating to reacting. Notice the subtle difference in those two words – creating and reacting? Rearrange one letter and you move from the driver’s seat to the back seat. Like words are made of letters, we are all made of energy – and a little rearranging can create a seismic shift in our vibration and the messages we’re sending to the Universe. When you dare to trust in your ability to co-create something good, you raise your vibration to be in tune with all that possible. Doubt puts you out of sync with the Universe, while faith allows room for synchronicity to appear (so-called coincidences and surprise opportunities divinely choreographed to inspire your next step). If you want to co-create an inspired and abundant life, you must stay focused on the positive vibrations of your visions. Along the way, things you don’t like might happen. You can view them as synchronistic diversions moving you closer to your intended path or lament over the stumbling blocks you assume are keeping you from bliss. In that choice, can you feel the energy shift from creation to reaction? To jump back and forth – in a state of trust one day and tortured the next – is exhausting for you and creates strains in your collaboration with the Universe. Can you imagine working on a project with a partner who curses you for messing things up and loudly complains to his friends, only to have him show up the next day acting like everything’s fine and assuming you’ve kept everything in motion? It’s a sure-fire way to turn cooperative momentum into all-out mayhem. So, if the dream job or the true love or the financial abundance you’ve envisioned hasn’t shown up, pay attention to the consistent vibration of your thoughts, continually working to recalibrate from desperation to inspiration. If your head space doesn’t match your heart space, expect turbulence more than miracles. Armed with these reminders, how will you clarify and create what you desire in 2015? May it be filled with magic and meaning – and plenty of positive momentum.